This entry was posted in iOS, Technology and tagged CocoaPods, framework, git, libraries, Pod, pods, ruby, xcode by Muzammil. Bookmark the permalink. Awesome and simple steps. Worked for me . One of the simplest and clean tutorials I followed. Thank you! Its really very very helpful for me. I followed the steps also it was successfully installed….. but after that too when i imported RestKit in AppDelegate.h it is giving me error as RestKit file not found…. Please can you give me any suggestion how to get rid of this error? Restart your XCode and use .xcworkspace project file only. I did what you suggested…. But it is still giving me same error….. can you suggest me anything else? Are you able to see POD xcode project in your original project ? Is this showing all libraries which is added in your POD ? Hey Disha, I am still not sure why you getting such issue with RestKit. Only thing i can advise to reinstall POD libraries (specially for Rest Kit). Also, are you using any specific version for POD libraries ? like : platform :ios, ‘5.0’ ? 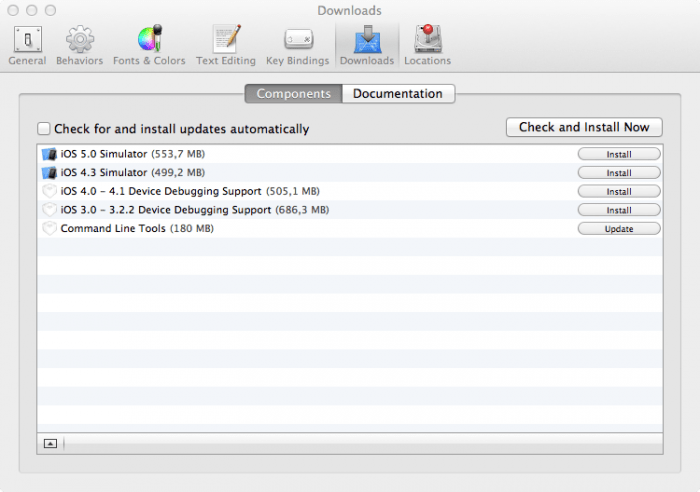 Make sure, Your RestKit lib is supporting your XCode platform version. activesupport requires Ruby version >= 1.9.3.? Which version of Xcode you are using? Ruby was missing in Xcode 5.0 and it seems you are not using latest version of Xcode, so Ruby is also showing old version. Thanks alot! very simple and smooth. There was an issue with the latest version of gem, I had to switch to gem v 0.19.2 to get it to work. But, in the end it all worked smoothly. when i am trying to add podfile, i am getting this error. It appears to have originated from your Podfile at line 1.
workspacce which is having more than five Projects. Any Suggestion for this will be Appreciated. And once again Thanks for You Guidelines. You can add cocoapods for a single project, then add your project xcode file in original workspace. It takes some time in ‘pod setup’ depends on speed of your internet connection. I have tried all the steps for install cocoapods, But after installing pods when i open workspace on that No Scheme was available to select and run project, but i can see the pods file. You might be missing something. Anyways, if your schemes are missing you can create a new scheme. No issue in this. great if any help in. AppDelegate is pre added file when you create a new project. It will not show inside cocoaPods, will only display inside your original xcode project. You can just use #import “AFNetworking.h” anywhere where you want to import. If you are unable to do this, make sure your pod is installed correctly and also you installed AFNetworking in your pod. I can install gems using suedo. I want to use AFNETworking but unable to import it. Can you help it out please? What issue you are getting while installing pod? hii… I installed cocoapod for mkmapview. but i dont know how to run this???? ?can anyone help me??? There is no connection between CocoaPods and MKMapView. What you are trying to do? It was well written article. Thank you! It really helped me! Hi! I just would like to give a huge thumbs up for the wonderful information you may have here on this post. I is going to be coming back to your blog for much more soon. I am getting some error while installing the cocoa pods in my system. It¦s really a nice and useful piece of information. I am satisfied that you simply shared this useful information with us. Please stay us up to date like this. Thank you for sharing. how to fix this error in xcode 8.2 . Can you post your podfile text here. [!] Unable to find host target(s) for MAIACoreLib. Please add the host targets for the embedded targets to the Podfile. i am not sure how i can fix this to build project. You may be using wrong name of pods inside your podfile text. Please re-check.